I battled pneumonia, and won! After being sick for 21 days last month, which included being treated for 5 days at MCH in ICU with pneumonia,– then nearly 3 weeks to regain my strength at home, I’m back! Never in 32 years with this injury have I been through anything like this. I just want to thank everyone who helped. 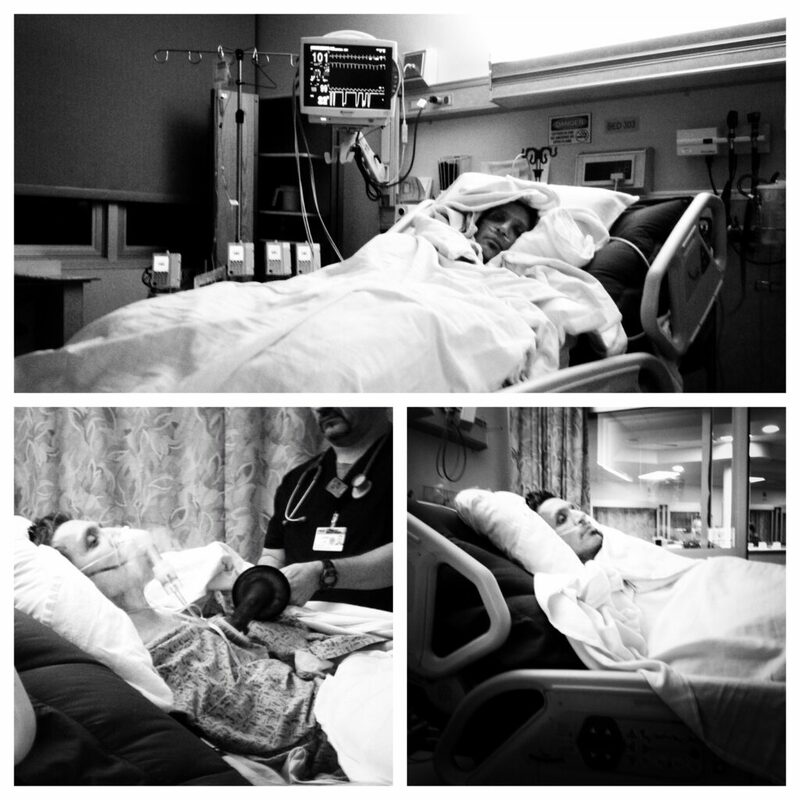 There’s too many to name, but you know who you are… From my Dr and his assistants, to everyone at the MCH ICU, my RN’s, RT’s, PCT’s, and CNA’s, you guys were amazing! To our family, friends, and everyone at the AMFPA / MFPA who checked on me, thank you all as well. [and especially to my wife Kristi] This wasn’t easy, and after 30 years together, this was definitely one of our toughest moments. Thank you Kris for all you do, I love you. This entry was posted in Updates on February 5, 2013 by sconi. [special honor], USA Embassy in Armenia. [special honor], USA Embassy in Armenia. 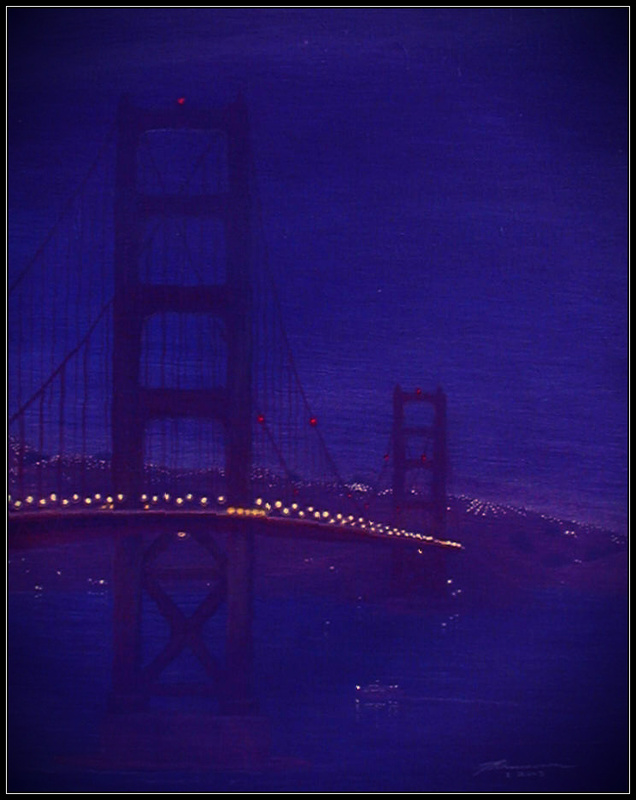 — San Francisco, ‘Golden Gate Bridge’, by Dennis A. Francesconi. In cooperation with the ART in Embassies program (US Department of State), the Mouth and Foot Painting Artists Inc. were recently honored to have 6 paintings selected personally by the Ambassador to Armenia John Heffern, and his wife Libby Dowling Heffern. The paintings will be exhibited in the Ambassador’s residence in Armenia for the period of the Ambassadors term, (about 2-3 years). *Many thanks to Ambassador John Heffern, and his wife Libby Dowling Heffern, and to Jim March – Director of MFPA for North America, as well as the MFPA team in Atlanta. This entry was posted in Updates on October 10, 2012 by sconi. A Holiday card for PepsiCo. 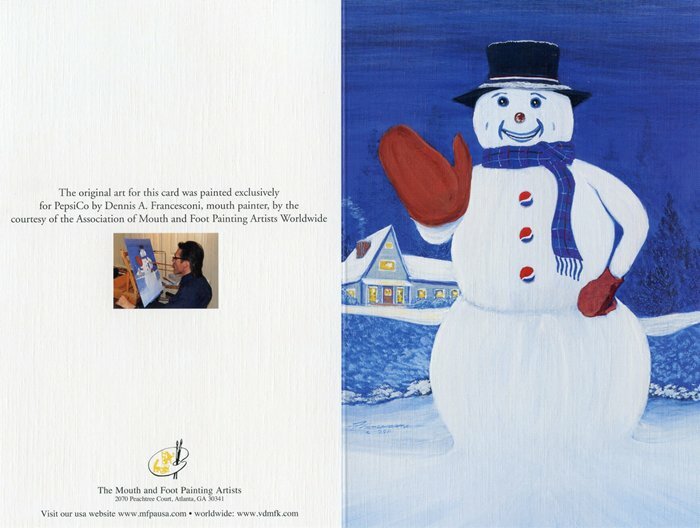 Mouth and Foot Painting Artists [Member] Dennis A. Francesconi gets another painting featured on a new Holiday card for PepsiCo! Approximately 65,000 cards were printed. Thanks PepsiCo! *Many thanks to everyone at PepsiCo, and to Jim March – Director of MFPA for North America, as well as the MFPA team in Atlanta. 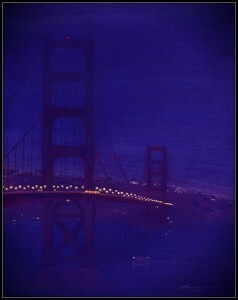 This entry was posted in Updates on January 4, 2012 by sconi. 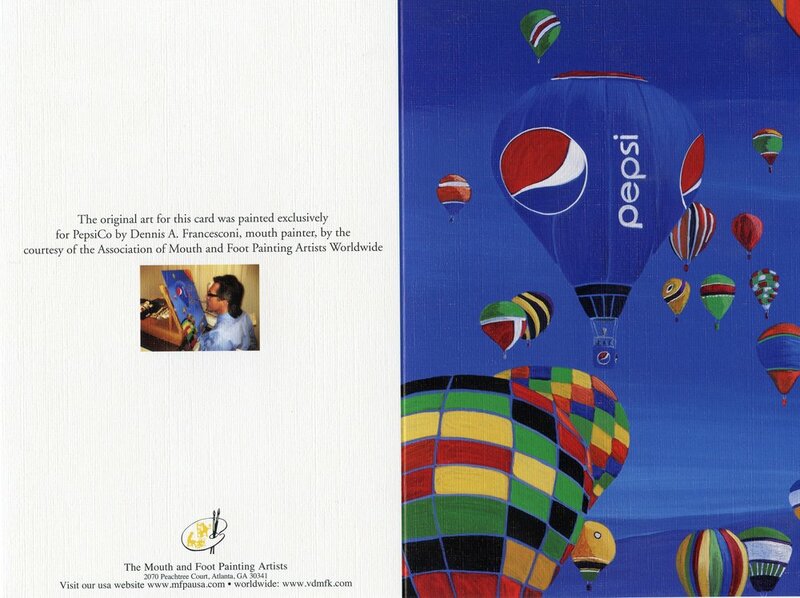 An all occasion card for PepsiCo. 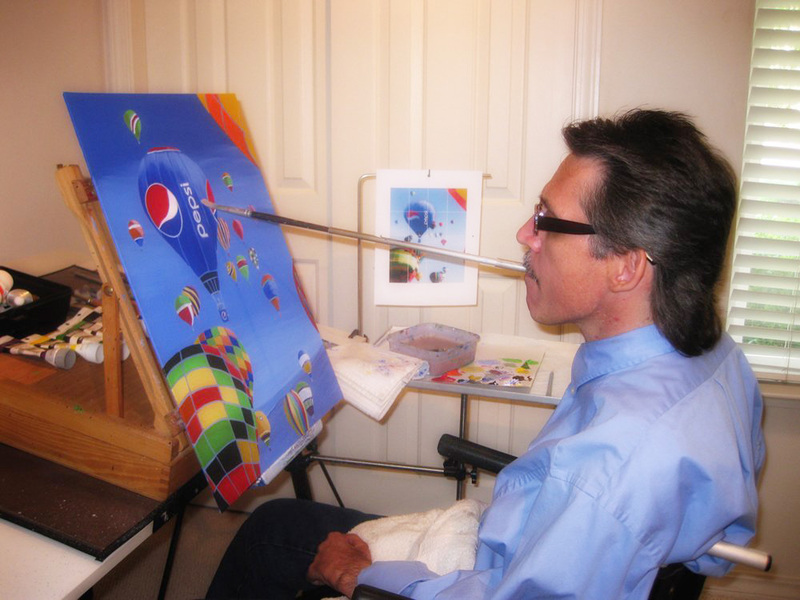 Mouth and Foot Painting Artists [Member] Dennis A. Francesconi gets a painting featured on an all occasion card for PepsiCo! Approximately 160,000 cards were printed. Thanks PepsiCo! This entry was posted in Updates on October 27, 2010 by sconi.